This weekend, we all get to celebrate St. Patrick’s Day. 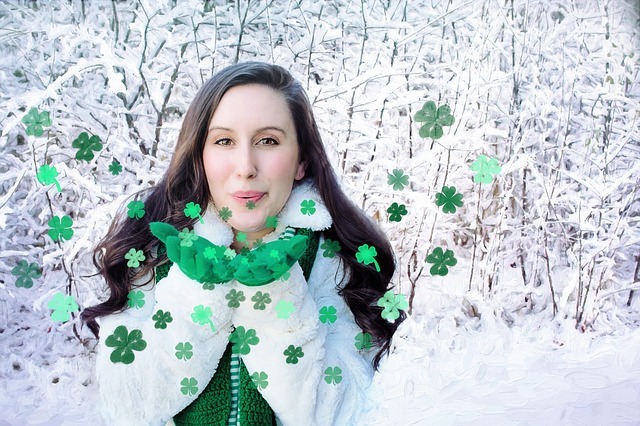 We’ll enjoy the green outfits, the fun leprechauns, the parades and parties, the cards and decorations, and for those of Irish descent, a chance to reconnect with a vibrant and unique culture. But of course, we can’t talk about St. Patrick’s Day without talking about the alcohol. According to ABC News, St. Patrick’s Day ranks fourth on the list of biggest drinking days, behind New Year’s Eve, Christmas, and the Fourth of July. About 75 percent of drivers involved in a fatal crash on March 17th are more than two times over the legal limit for alcohol, with a crash claiming a life every 72 minutes. So the message there is don’t drink and drive, but we have another reason why you may want to limit the cocktails on this special day. Alcohol can wreak havoc on your skin! Just how does alcohol mess with your natural beauty? Dehydrates it: Healthy, beautiful skin is hydrated skin, and alcohol pulls that hydration away. It dehydrates the body overall, which naturally affects the skin, too. Over time, the more you drink, the more you accelerate the effects of drying, which include dullness, fine lines, and wrinkles. Inflames it: Inflammation is one of the main things that destroys skin structure and integrity, and alcohol encourages internal inflammation. As the inflammation fires up in your system, you may suffer from redness (including rosacea flare-ups), flushing, and puffiness. If you drink only once in awhile, the effects will go away, but drinking regularly can create a more lasting facial redness, as well as lead to other visible signs of aging, like fine lines and wrinkles. Breaks it down: Alcohol breaks down the collagen in the skin, which over time can lead to more sagging and bagging, and more wrinkles, too. Robs it of blood flow: Your skin needs blood just as much as the other organs in your body, but excess alcohol alters blood flow and leaves you with an unhealthy appearance. The skin also misses out on some of the important nutrients it needs to repair itself. Encourages breakouts: As the skin tissues are dehydrated, your skin may respond by producing more oil, which could increase your risk of breakouts. Alcohol also dilates the pores, making them more visible. Messes with your sleep. Alcohol disturbs sleep, particularly deep sleep, and as we mentioned in a previous post, a bad night’s sleep can make you look older. Consider, too, that many cocktails are full of sugary juices and sodas that increase inflammation in the skin and cause even more damage. Drink less: The more you moderate your intake, the less damage to your skin. Stay hydrated: While you’re enjoying that drink, make sure you have a nice tall glass of water nearby so you can keep yourself hydrated. Choose wine: Wine has natural antioxidants that are good for your body and for your skin, so it’s best to go with this drink as often as possible. Go easy on the green beer: Beer has more additives that can make it even more dehydrating than other options. Dark liquors also have more additives than clearer ones. Eat while you drink: Eating prior or while drinking can help limit the damages, as some of the alcohol will pass through your digestive system along with the food. Prep your skin before sleep: Even if you’re tired when you get home from your party, don’t skip your skin care. Take the time to get all the makeup off, and to moisturize well as this will help your skin recover overnight. We suggest our Calming Moisture, as it has natural anti-inflammatories and deep moisturizers that will help you wake up looking as if you never touched a drink the night before. How do you protect skin when enjoying a drink?